Today I sport a more natural hair color, but I do enjoy a good blond beauty around me. They say blondes have more fun, but I believe that one does not need to be any particular shade to embrace life and enjoy it to the fullest! Regardless of the hair color you choose, fun can come in a variety of shades and sizes, not to mention gender and brains! This weekend I’m bringing my Life on Mar’s: Season Two team back together. 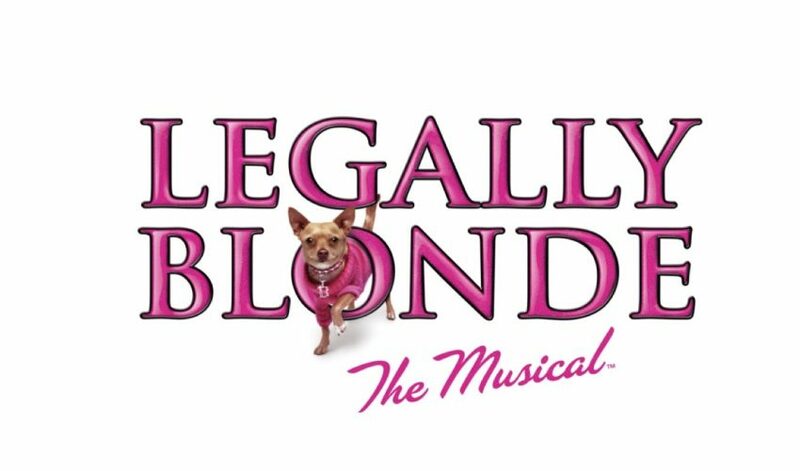 Not just to enjoy a live production of Legally Blonde the musical, but to reunite doing something fun and local. The Downtown Cabaret Theatre, located in Bridgeport, CT, has been offering world-class productions right here in our own backyard for the past 40 years. The theatre has produced shows like Annie, Rocky Horror Picture Show, Jesus Christ Superstar, Evita, Phantom of the Opera and George Orwell’s 1984, amongst others. The Downtown Cabaret Theatre also supports the local community with events, fundraisers, and concerts. And I must give a shout-out to Monica Charline Brown who played Elle Woods – she was extremely impressive, in her talent and abilities! I was fortunate enough to be in the front row, where I could fully appreciate her portrayal of the lead character. Please visit Monica’s website, and check her out. She is definitely going places! Legally Blonde is one of my favorite movie: charming, light and very watchable. And the musical matches it moment for moment. But it’s more than catchy songs and funny lines. The musical delivers a serious message about intolerance, preconceptions, and the limits society can place on people, based solely on their appearance. Legally Blonde has a lesson to teach about how the world works, and how to stand up for yourself and your beliefs while staying true to your own hopes and dreams. I may not be blonde, but the next time you hum a happy tune remember all those who you accept and support unconditionally. It costs you nothing, but know it’s priceless in how it makes a world of difference.